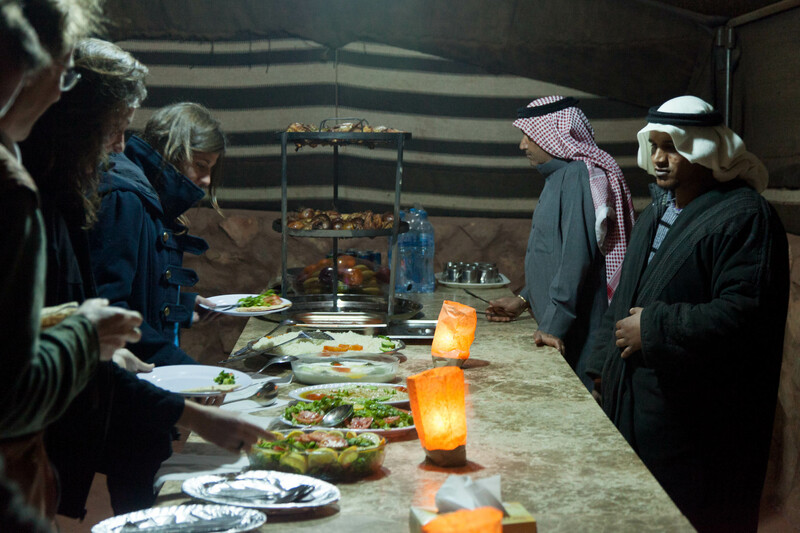 Our camp at Wadi Rum is just one of our many camps and locations throughout Jordan. We have a selection of other tour options and accommodation available within the country. With our headquarters in Petra, we are centrally located in the heart of Jordan, allowing tours to begin and end in any location you desire. Whether it is walking from Petra to Aqaba or spending a few nights in historical Petra in a bed and breakfast as a getaway, we can find a great option for your traveling needs. Please check out our partner Petra Caravan Tours for more accommodations and tours throughout the country. With towering cliffs and mountains over 1,750m high, Wadi Rum is a unique and unforgettable place in Jordan. Whether a serious backpacker, rock climber, or just a casual desert stroller, there are many places to visit and landscapes to witness. Canyons and waterholes sinking into the valley floor of red rocks and redder sand. If trekking is not your interest, there are many Jeep tours as well as camels and horses to tour the desert. As a UNESCO World Heritage Site, you can find rock drawings from 4,000 years ago amongst the granite and sandstone which has been eroding and shaping the jabals for even longer. 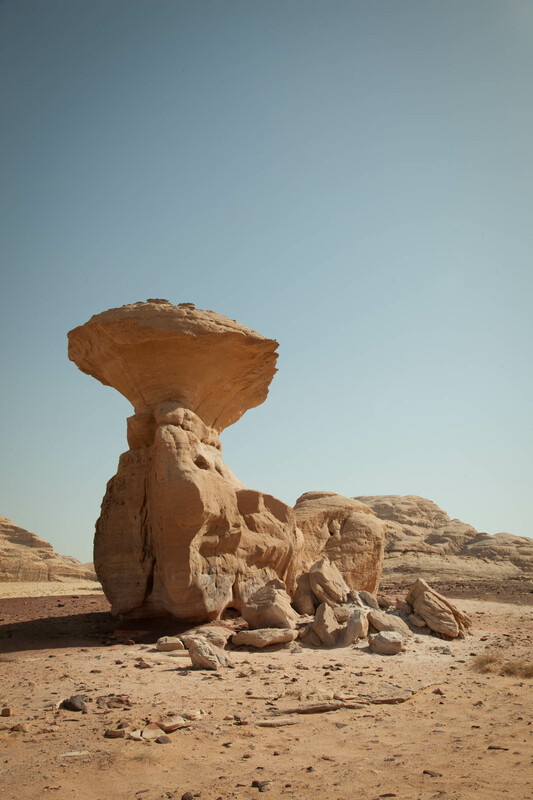 Amongst the beautiful landscape, there are other sites to be seen such as the Burdah Rock Bridge, a natural arch which is 35m high. Being 720sq km, there is plenty to see, places to explore, and rocks to climb. With hot summers and winters where snow is not uncommon, March-May and October-November are the best times to visit. In the spring you get the wildflowers, coating the desert floor with seas of yellows, oranges, and purples. Fall you get the cool air winter promises without the rain and snow. 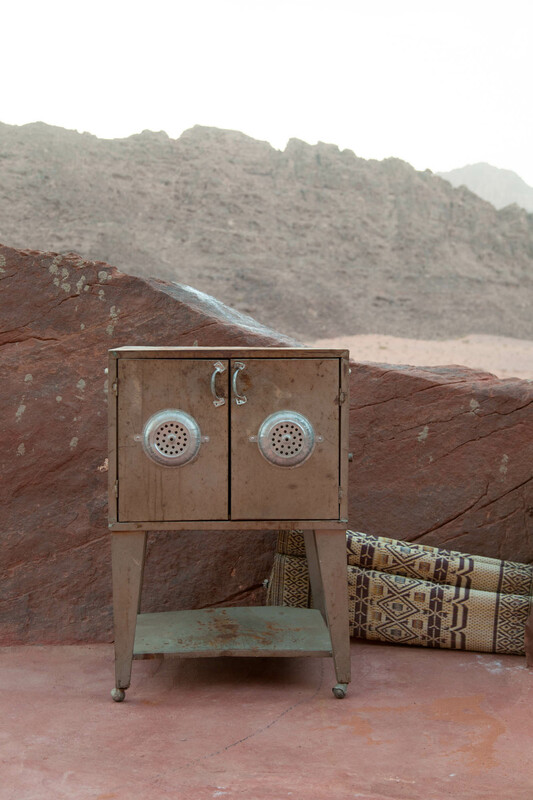 However, anytime, with proper preparation, can be enjoyed in Wadi Rum. 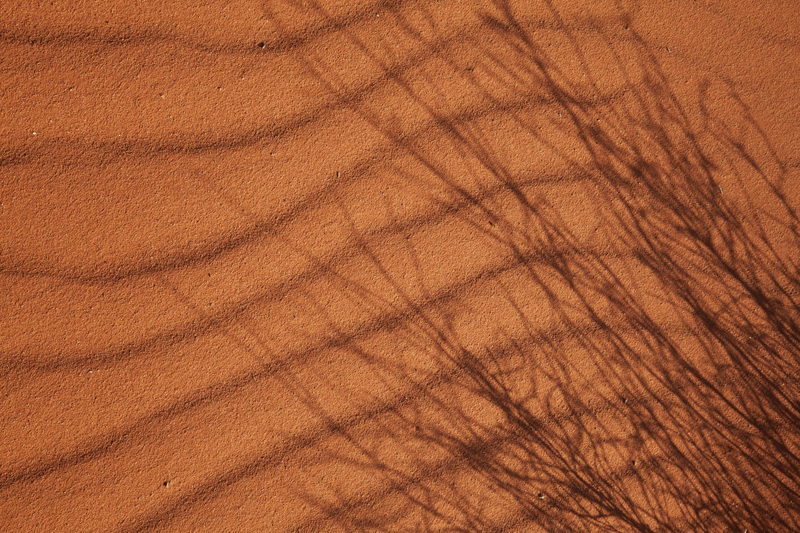 Preserving the natural beauty, Wadi Rum is a protected area, without many amenities. What you bring from Rum Village outside and what the camps provide is what you have. 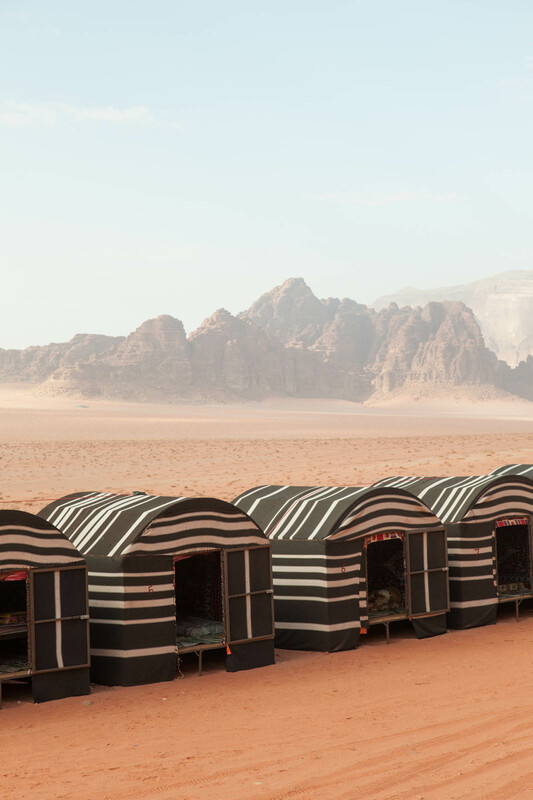 This makes the Bedouin camps throughout Wadi Rum valuable resources, helping the travelers to stay as long as they choose. Being a protected area, however, there is an entrance fee. Currently it is JD5 while children under 12 are free. There is speculation that the price will rise up to 8JD in the future, but currently the price is JD5 and each vehicle is JD5. 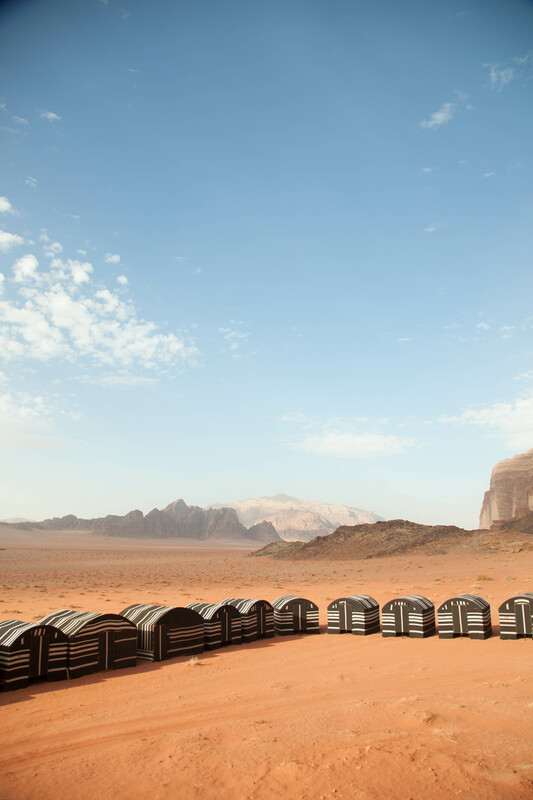 Coming from just about anywhere in Jordan, Wadi Rum is accessible through many local and tourist buses. Additionally taxis can be hired to the area. Taxis can range between 20-40 JD from Aqaba and from Petra 25-45 JD. Local buses are cheaper, but the times and frequency vary. If coming from Amman, you will have to go through Petra to get to Wadi Rum and make a transfer to another bus, which may not be leaving until the next day. There is one luxury JETT bus leaving Amman and going directly to Wadi Rum. It currently is JD40 and only leaves Amman at 15:00 every Thursday and returns on Friday at 19:00. However, please see the JETT website for more details about this service as well as buses throughout Jordan. If you are staying in Petra, many hotels can help arrange a bus or driving service to Wadi Rum. Renting a car is always an easy option to get around Jordan and to Wadi Rum, however, if you do this, you will have to park the car at the Visitors Center for the duration of your visit. 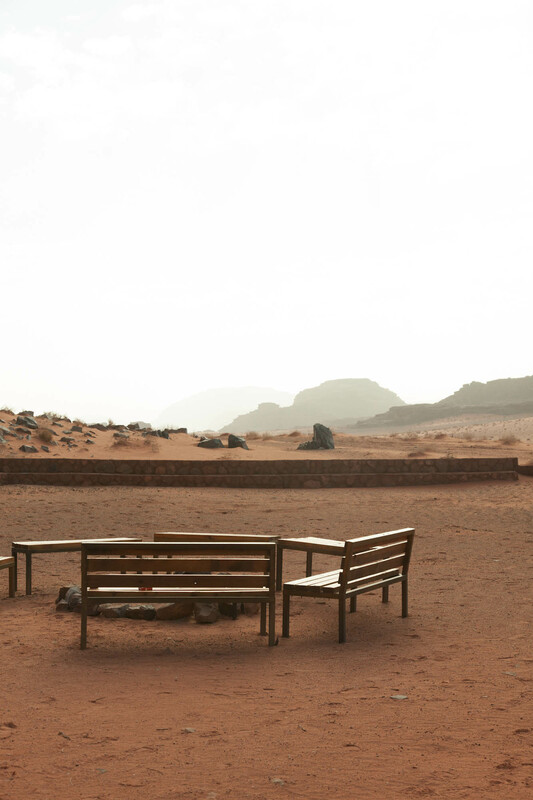 The visitors center is about 5km from Wadi Rum Caravan Camp. If you reserve a place before arriving, we will have someone come to pick up your luggage, allowing you to hike to the camp, or drive you to start your adventure at the camp itself.